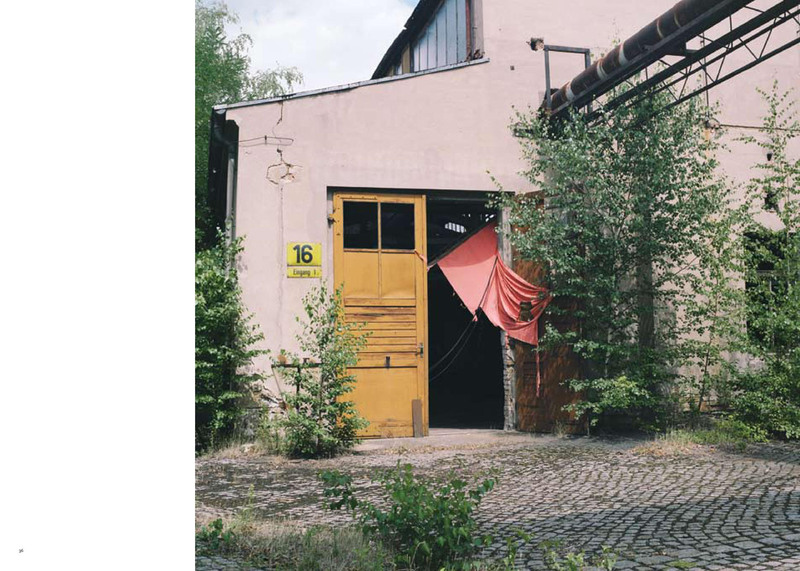 "EMILY ANDERSEN CAN PHOTOGRAPH THE DERELICT INDUSTRIAL RUIN AND MAKE BEAUTY OF IT. 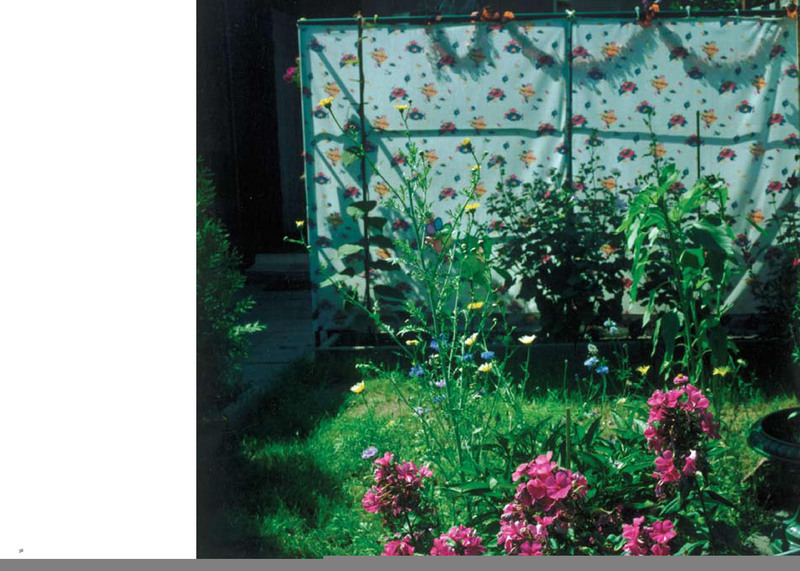 SIMILARLY, SHE PHOTOGRAPHS THE MOST SIMPLE GARDEN ALLOTMENTS THAT OTHERS IGNORE AS THEY HURTLE IN A TRAIN FROM BERLIN TO LEIPZIG OR WEIMAR... AND PRESENTS THEM AS EARTHLY PARADISES FOUND." 2018 Press for Portraits: Black and White by Pelham Communications Art PR Agency, London and New York. 2018 Nominated for RPS 100 Heroines by the Royal Photographic Society. "There is something in Emily's work as if the world holds its breath while she takes the shot. The absolute stillness is both serene and unnatural." "In former Eastern Germany, Emily Andersen, a London photographer usually associated with portraits, also documented allotments in her book titled Paradise Lost & Found. 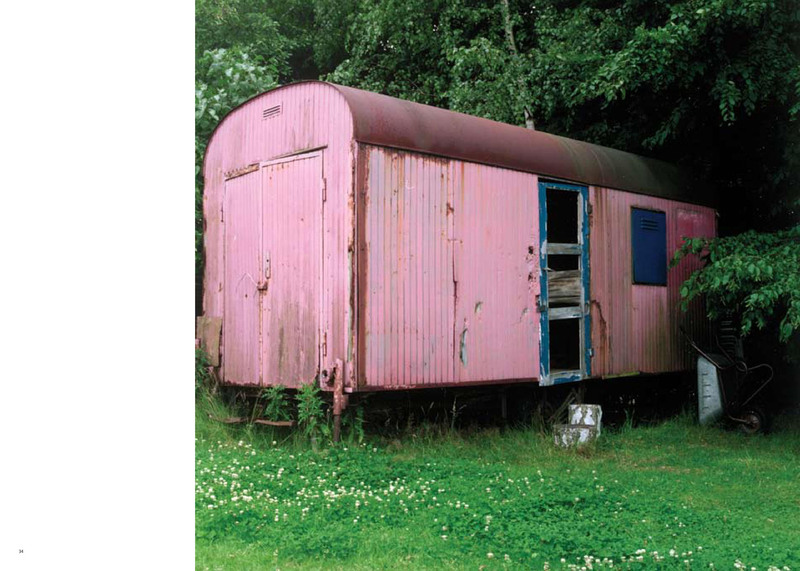 She explores the universal appropriation of empty spaces and how people create their own 'secret paradises' in sites ignored by passing road and rail travellers. 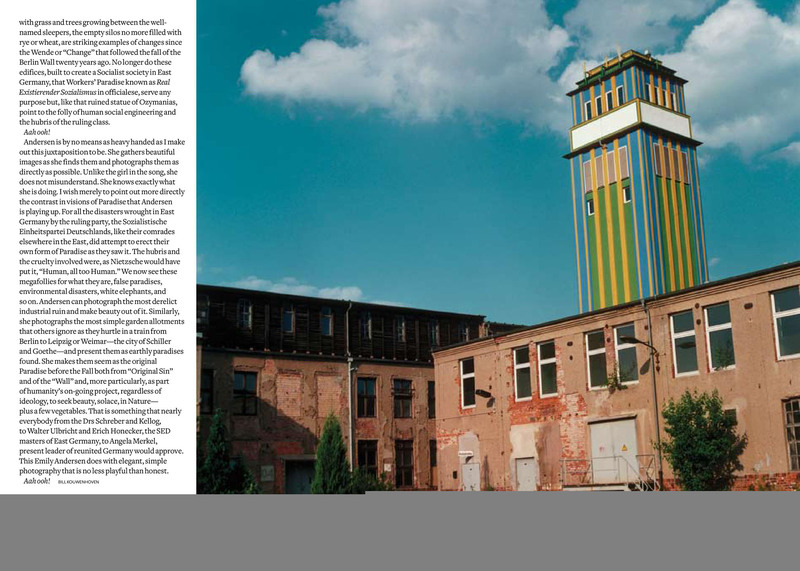 She seeks beauty but not romance in these gardens and in abandoned rundown factories, 'leftovers from socialism's utopian dream.'" "She has chosen a wide-ranging set of subjects: British photographer Emily Andersen's work encompasses portraits, aerial, landscape and architectural photographs. 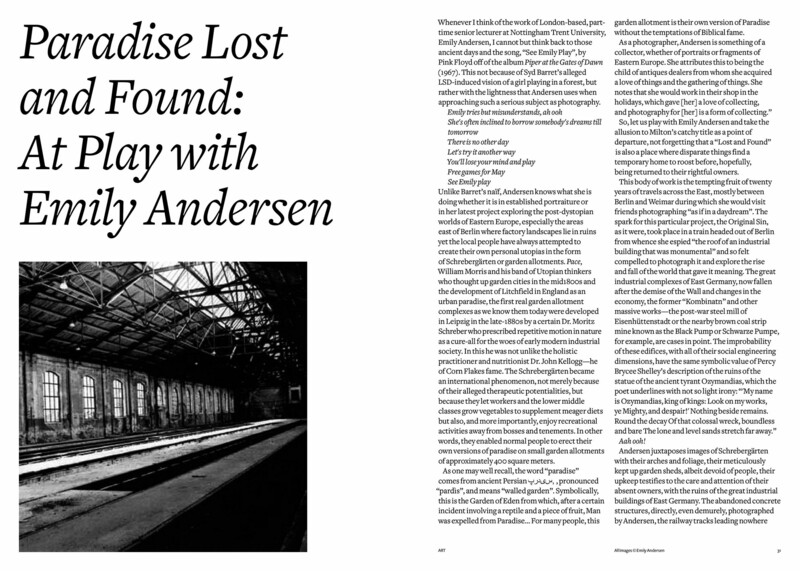 Although Paradise Lost & Found is Ms Andersen's first show in Germany, she has already travelled the country extensively over several years, capturing industrial ruins, allotments or abandoned theme parks with her camera - and thereby uncovering the odd hidden paradise." "Emily Andersen takes photographs of people, often in pairs. Fathers and daughters, mothers and sons act as mirror images or Doppelgängers of one another. Some of them are famous, some unknown. Never emotionally directive in the manner of Diane Arbus, Andersen represents them in natural settings. But unlike the amateur photographer, she is fully aware of the poetry of these interrelationships, of the charged spaces, the articulacy of body language. One of the most touching images is of Banji Adu and his small daughter, Lily. They stand on the summit of Primrose Hill where three paths converge. He is dressed in a straw hat and black clothes while she, in contrasting white sweatshirt, winds herself round his legs, face towards the camera. He stands like an oak, with her safe below him. At the other extreme, an elderly man sits isolated and stern-faced in front of a formal statue in a German park. Behind him, his adult blonde daughter stands, coat clasped tight, her gaze fixed on another horizon. Behind them both a balustrade suggests a stage. It is as though we were about to witness some terrible Oedipal drama. Some of the sitters are complicit, like Michael Nyman, who sits, Mafia-style, with his two nubile daughters. Others are delightfully natural, like Andersen's own eccentric parents. We all take family snap-shots which we then imbue with the myths borne out of nostalgia. Photographs have no fixed meanings, they are screens on to which we project our versions of the world. What Emily Andersen has understood, with real piquancy, is something of the nature of those fantasies." " 'The Body Politic', a group exhibition of photographs at London's Photographers' Gallery, challenges the narrow conventions that prevail in the usual depiction of the human body, gender and sexuality. A dozen photographers present images that defy the stereotypes we are accustomed to seeing. They use a variety of styles and genres, including studio and documentary portraiture, the self-portrait, photo-narrative and arranged photographs. Emily Andersen's documentary portraits of women and their fathers make us realise how seldom women cohabit the same picture frame as men with equality and strength. It is especially refreshing to see young women presented with as much presence and self-assurance as older men, who are the emblems of power in a patriarchal society. In her series of portraits Andersen allows both the men and the women [to express] their individuality. She allows young women [to show] their power and the older men their vulnerability, and finds a range of nuances in between as well. The sitters are revealed with sympathetic clarity, sometimes engaged, sometimes estranged, sometimes sharing a mood or gazing directly, with composure, at the photographer, while the father hovers out of focus at the bar in the background, a telling indication of a problematic relationship." "[...]The photography section is again thrown away in the corridor leading to the restaurant, although a special mention should be made of Emily Andersen's exquisitely crafted travel picture. It probably shows a day trip to Dorset but it has the parched, nervous tension of one of those hot American states where the postmen always ring twice."